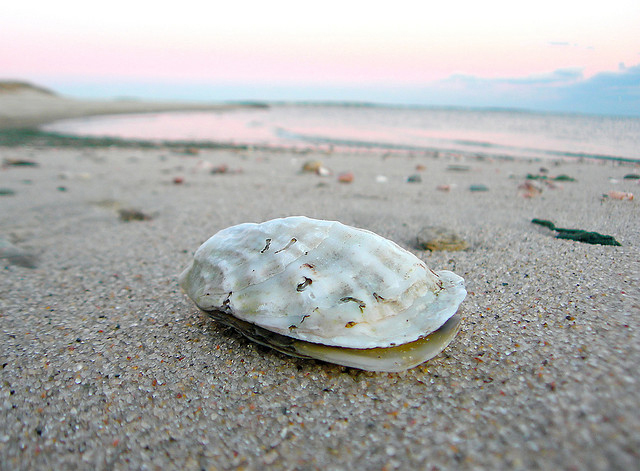 Oyster shell on beach; photo by i a walsh (IvanWalsh.com) on Flickr (use permitted with attribution). 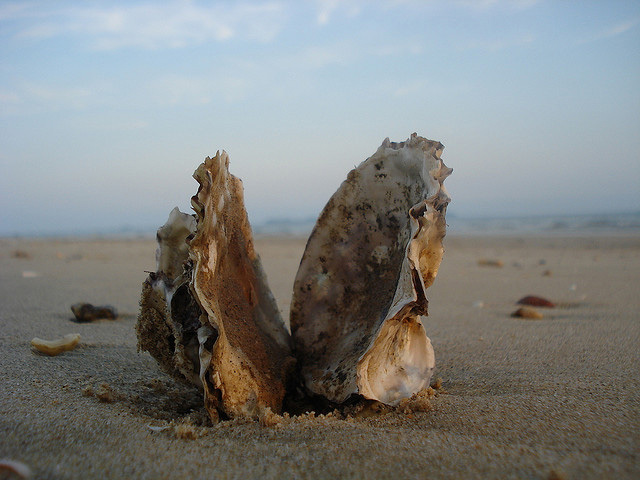 Mississippi designated oyster shell (Crassostrea virginica) as the official state shell in 1974. The American oyster is a valuable resource of the Mississippi Gulf Coast. Eastern oyster on Nantucket Sound, MA; photo © Christopher Seufert Photography (all rights reserved; used by permission).